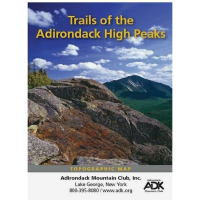 Now in its 14th edition, ADK's High Peaks Trails is the most comprehensive trail guide available for the High Peaks region. . 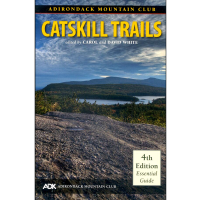 Details the 46 highest peaks in the Adirondacks; trails in the Lake Champlain region and trails further to the north are new to this edition. Numerous new trails have been added, including popular hikes up Lyon Mt. and Cheney Mt.. Provides complete information on rules and regulations, directions to the trailhead, parking information, trail mileages, elevation changes, and all essential navigational information. Each trail is keyed to indicate its location on Trails Illustrated Maps 742 and 746. 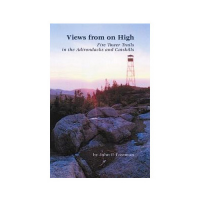 Edited by Tony Goodwin and David Thomas-Train; published by the Adirondack Mountain Club. 2012, 14th edition; 281 pages. 5.5 x 8.5 in.